Chris Wahl goes on a solo away mission to Microsoft Ignite 2018 to explore the cloudy world of Azure. Recorded live at the show, today’s episode delves into Azure data services and storage announcements, including Data Box, a hardware appliance for shipping data into the cloud; and a preview announcement of Data Box Edge for local storage such as IoT use cases. 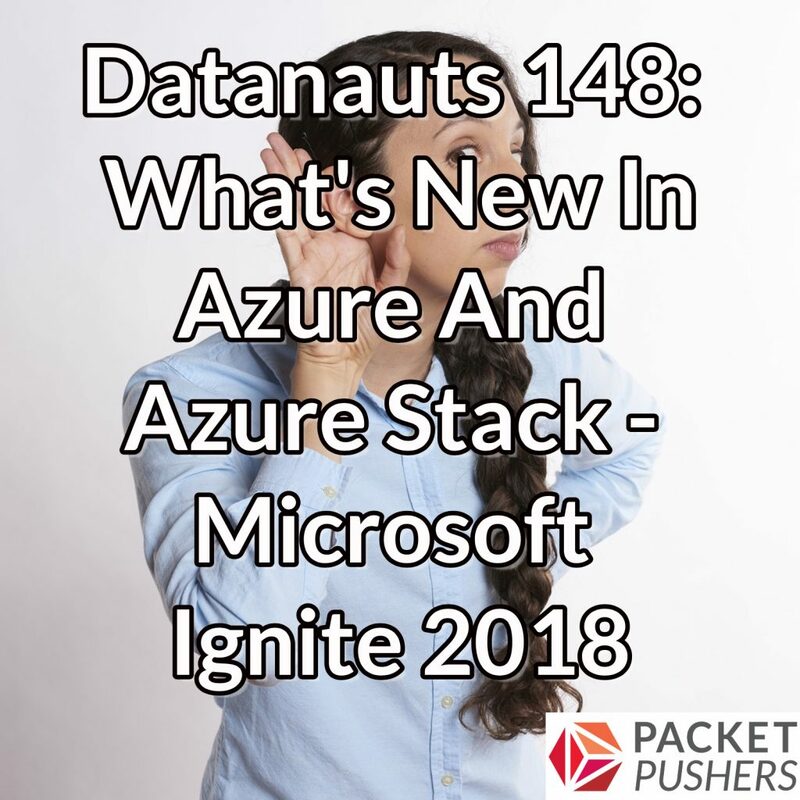 Chris and his guests also explore the latest news on Azure Stack, the on-premises version of Azure; new networking features in Microsoft’s cloud; updates on Windows Server 2019; and more. Today’s guests are Jeffrey Snover, Technical Fellow and Chief Architect for Azure Storage, Media, and Cloud Edge; and Mike Nelson, a Technical Marketing Engineer at Rubrik. Note that today’s show wasn’t sponsored by Microsoft, but the company did fly Chris to the event.